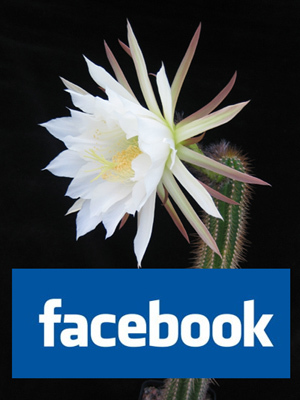 SuccSeed offer seeds of cacti and other succulents and is specialized in south american genera. In our small greenhouse we grow many hundred species of Lobivia and Rebutia which are carefully pollinated by hand. We try to pollinate as much as we can, to be able to offer the seeds to other growers. Due to a close cooperation with many other specialist growers we can offer you a wide range of genera, species and cultivar forms. 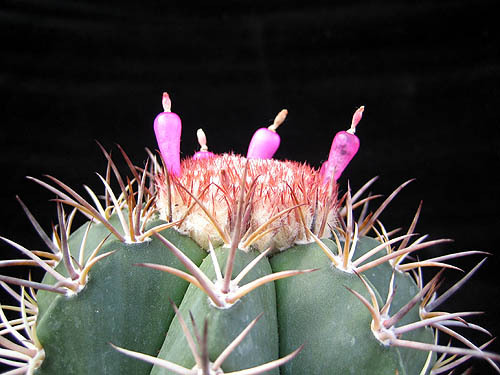 SuccSeed can offer over 450 Rebutia and 350 Lobivia, there are over 200 Eriosyce, many Gymnocalycium, Copiapoa and Echinopsis. These Andean plants are highly recommended for all growers: They stay rather small, they are variable in body, spination and flower colour and are easy to grow. 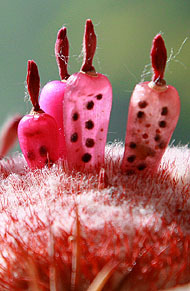 They can also resist low temperatures during winter and flower easily. They have been our favourites for many years and so will. For those who prefer other succulents, we also offer Lithops - 'living stones', Conophytum, Faucaria, and many other interesting genera. If you as a beginner find it difficult to decide what to order - let us help you! For our nordic customers in special, we also offer books, square pots, soil mixtures, labels, fertilizers and much more. If you as a beginner find it difficult to decide what to order - let us help you!